After many years away, Magic finally comes home to Dominaria in just a couple weeks. We're pulling out all the stops to celebrate. Iconic mechanics, must-have promo cards, beloved characters—we packed as many demand drivers into the set and its event season as possible. 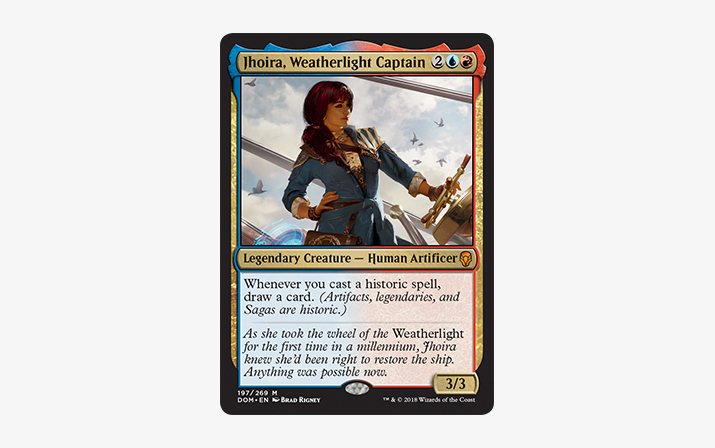 In case you missed it, Dominaria's Buy-a-Box promo is a foil Standard-and-Commander-legal rare only available at WPN stores. Plus, if you're running Prerelease, you can sell advance boxes of the set in quantities equal to your Buy-a-Box promos. Contact your distributor. 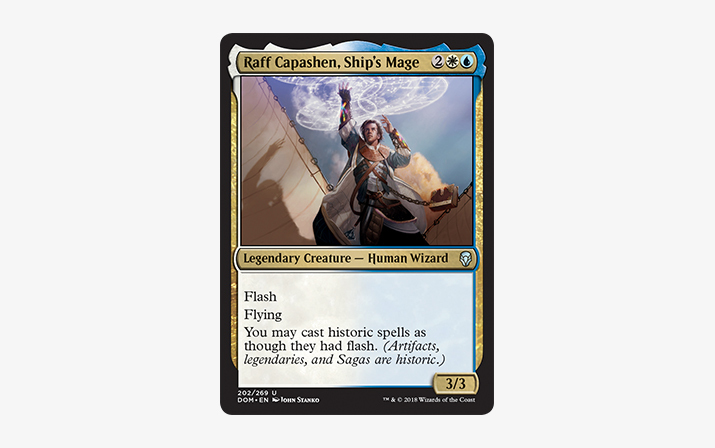 Playable FNM promo cards are back, with a twist: they feature a special frame rather than alternate art, which gives us more time to evaluate our promo selection. 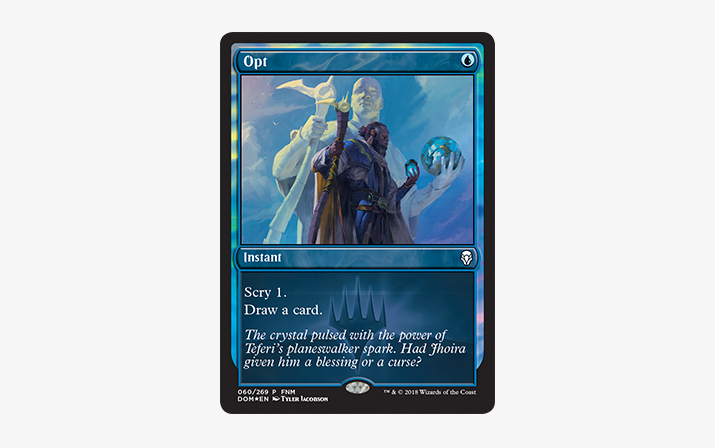 The first run includes some premium removal, plus a proven selection spell, Opt (recently legal in Modern, thanks to its Ixalan printing). There's the usual foil, date-stamped, rare-or-mythic-rare promo card. 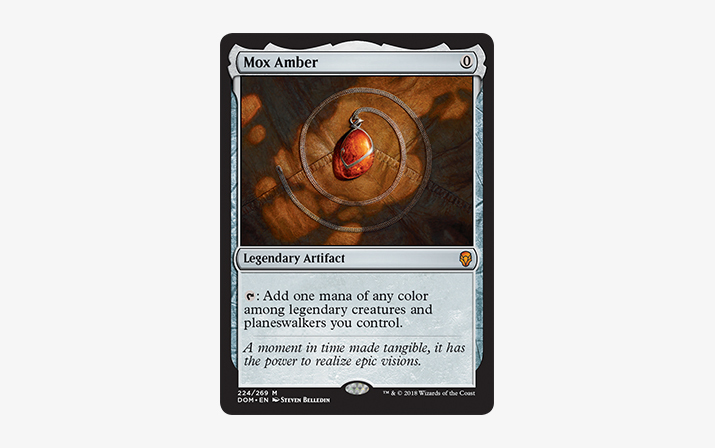 But there's also a second foil, date-stamped promo drawn from any legendary card in the set. Both are part of your players' Sealed pool. As you can tell, Dominaria is plane of legends. 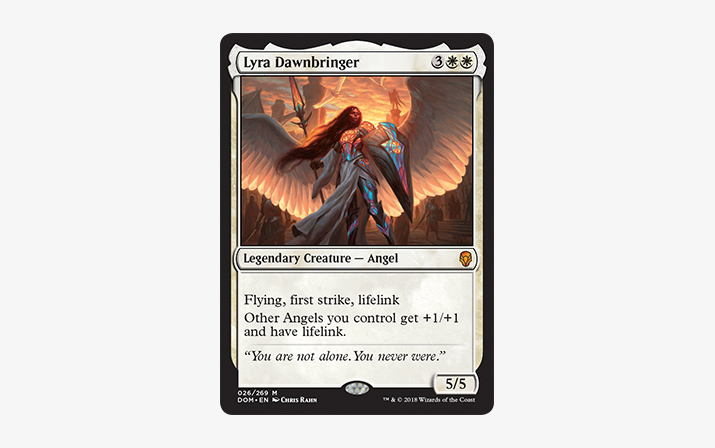 To thematically emphasize this fact, every booster pack will contain a Legendary card. In addition, each legend gets a special frame to highlight their unique status. 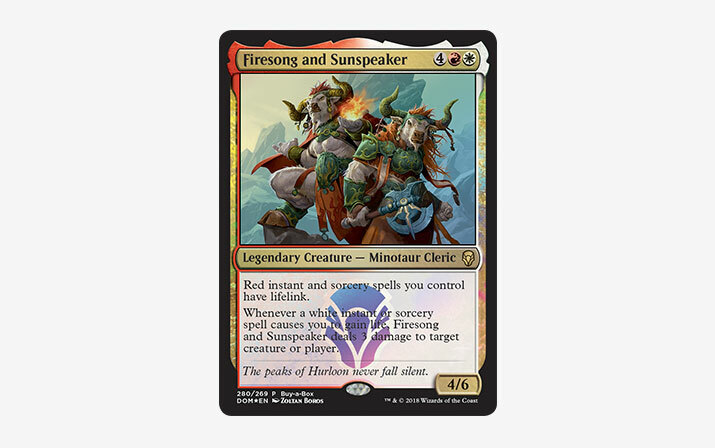 Historic is a new modifier that plays off the ancient and historical theme of Dominaria. Historic references Artifact, Legendary, and Saga cards, giving additional benefits when played together. 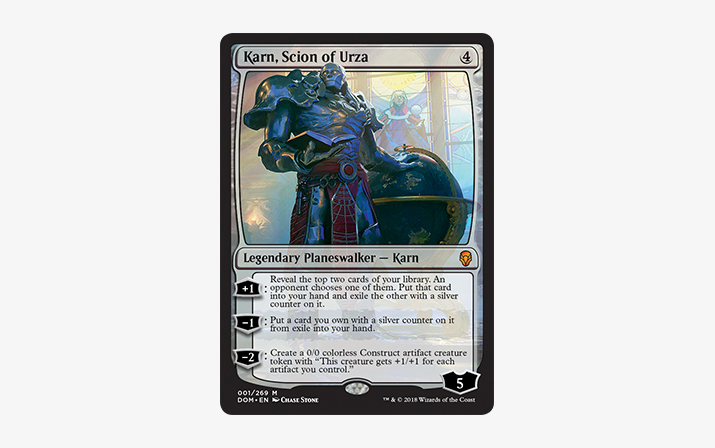 Karn returns in Planeswalker form for the first time since his debut in 2011 with New Phyrexia. This version of Karn is all about card advantage with a nice ability that can help defend himself from would-be attackers. 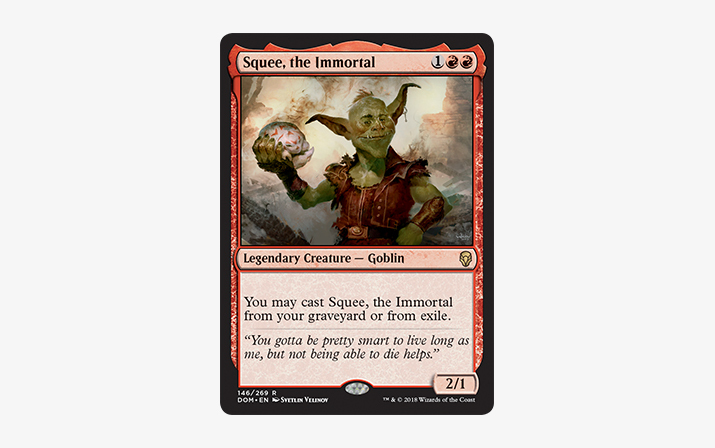 Everyone's favorite goblin-that-can-never-die is back in action and better than ever with a bump to his power. 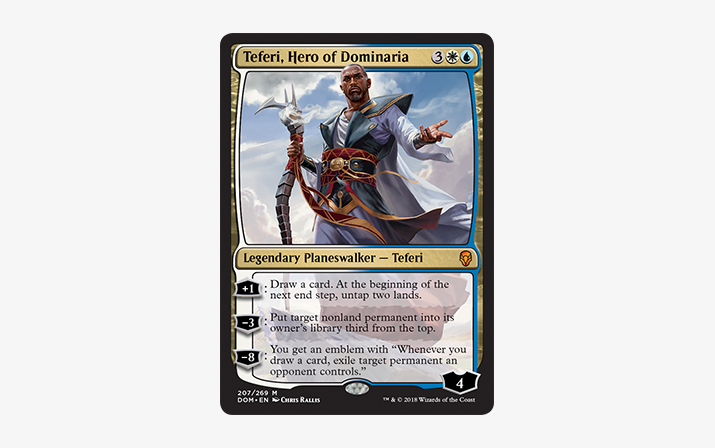 Teferi gets his first-ever Standard-legal Planeswalker card with a fitting title for his heroic deeds. 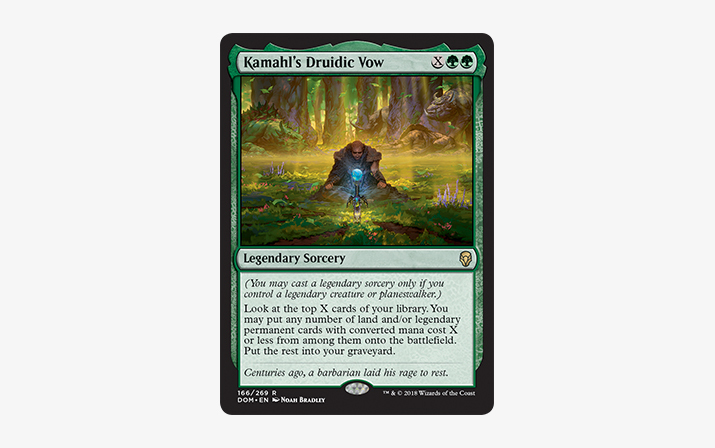 This card will likely find its way into some strong Standard control decks and can also fit nicely in many Commander and Brawl decks. This is just a small example of what's to come in Dominaria. There will be wizards, elves, land cycles, and so much more. Dominaria releases April 27. Call your distributor to place or boost your preorder today. Bahr: Our Event Model Broke. Here's How We Fixed It.